BOSTON, Nov. 15, 2018 — The Colony Group is proud to announce that we have been selected as the winner of the 2018 Trailblazer IMPACT Award™, part of Charles Schwab & Co., Inc.’s Impact Awards® program. This award is presented to a firm that combines an entrepreneurial spirit with a drive to help the financial services industry reach new heights – either through special initiatives, or simply as a result of the passion and commitment that they bring to their business every day. The Colony Group is just one of only two firms to win two IMPACT Awards®; the Best-In-Business IMPACT Award™ in 2010 and now the Trailblazer IMPACT Award™. “Our dedication to our clients and to each other is what drives us to continue to innovate and improve our services, grow our team, invest in new technologies and foster a culture where all of our team members have the opportunity to succeed,” said Michael Nathanson, chairman and CEO of The Colony Group. Founded in 1986, The Colony Group has over 140 employees in 10 cities, managing over $8 billion in assets for clients who include corporate executives and entrepreneurs, athletes and entertainers, professionals, ultra-high-net worth families needing family office services, institutions, and businesses. “We have a deep bench of highly skilled financial professionals who collaborate across offices and teams. They bring their best thinking, advice and resources to each client’s unique circumstances,” said Steve Stelljes, president of Client Services at Colony. Along with wealth and investment management, tax and estate planning, and other financial planning solutions, Colony is continually evolving how it serves clients by, for example, developing life-enrichment solutions, including personal health advisory services, career transition and coaching services, and personal concierge services. This is a recurring theme at The Colony Group as it supports its clients and team members. Colony cultivates a culture of inclusion and opportunity by offering a clear path to meaningful equity sharing not just for a small group of senior advisors but for those employees, including non-advisors, who excel at what they do and make invaluable contributions to their clients and the firm. Colony’s Her Wealth® program, developed to address the wealth management needs of women, also advances women in the financial services industry through the company’s Her Wealth® Scholarship. “We not only support and empower women as they make decisions about their money and wealth, but also support women who want to have careers in this industry,” said Nina Mitchell, one of the founders of Her Wealth® and co-president of Colony Sports and Entertainment. Colony also encourages employees to give back to their communities through paid volunteer hours and by volunteering for leadership positions in charitable organizations they care about. It also raises money for worthwhile causes and community projects through its charitable fund, Colony Cares. The Trailblazer IMPACT Award™ included a $15,000 donation, which was made to Colony Cares to advance these important initiatives. The Colony Group and its employees are independent of and are not employees or agents of Charles Schwab & Co., Inc. (“Schwab”). Schwab does not prepare, verify or endorse information distributed by The Colony Group. The Trailblazer IMPACT Award™, part of Schwab’s IMPACT Awards® program, is not a referral to, endorsement or recommendation of, or testimonial for the advisor with respect to its investment advisory or other services. Trailblazer IMPACT Award™ criteria: Firms must use Charles Schwab & Co., Inc. (“Schwab”) as a custodian and must have been in business for at least five years, have at least $25 million in assets under management, and be registered with the SEC. Schwab and an industry panel review general business metrics and essays submitted by the firms in making selections for the awards. 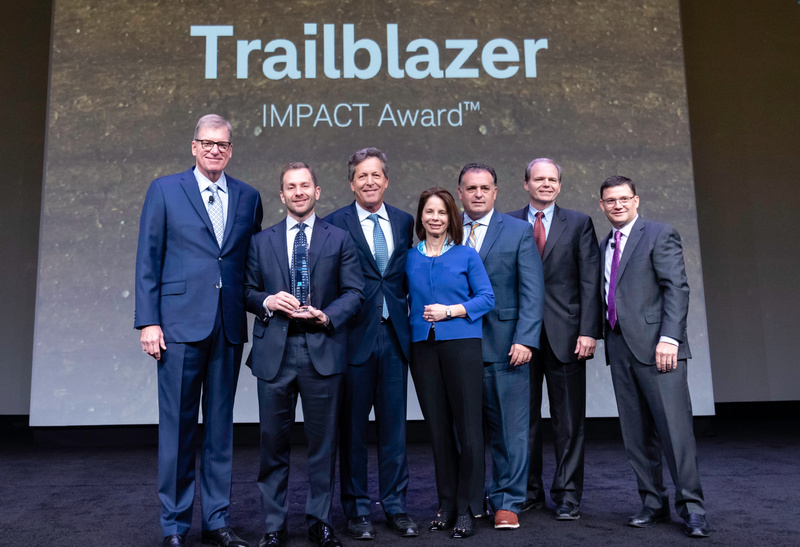 The Trailblazer IMPACT Award recognizes an independent investment advisory firm for unique efforts to advance the industry, such as serving a new client segment, creating a new business model, offering education to the community, developing new talent, or advocating for the industry. Best-in-Business IMPACT Award: The Best-in-Business IMPACT Award recognizes an independent investment advisory firm that has elevated business management to new levels of excellence and achieved exceptional business results.